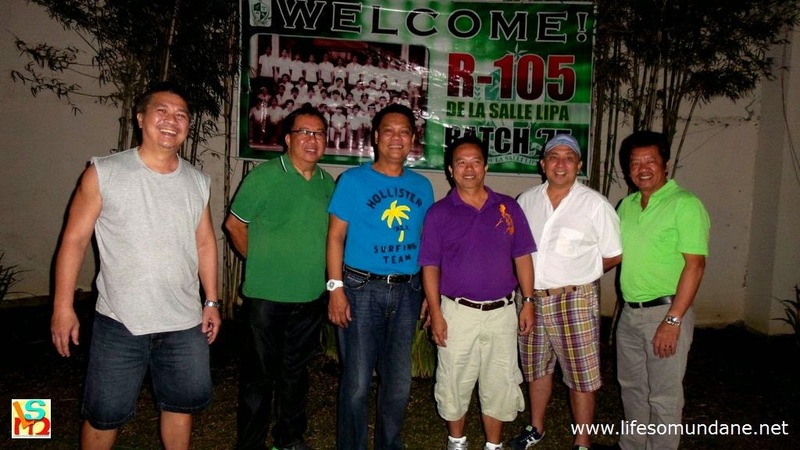 Members of DLSL High School 1975 in a farewell party for Fr. Renato Briones. A former student left a note for me on Facebook saying that she and her classmates recently held a reunion; and that they did because of the digitised yearbooks that I had been posting in this web site. That was nice, I thought. I had no idea that I would myself end up in a reunion last night at a classmate’s place. Or, I did but forgot about it. 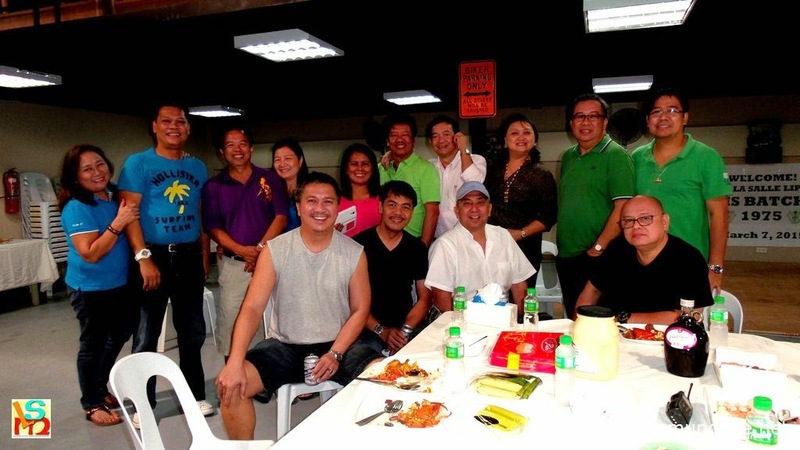 I met classmate Danny Lopez about a month back at Robinson’s Place; and to be perfectly fair, he did tell me that another classmate, Lito Hernandez, was hosting a farewell party for yet another classmate, Fr. Tats Briones. The last would be leaving for Australia on a four-year posting in Melbourne, he said. That was why I was shirtless, dirty and smelly when Danny and Vergel Latay arrived late yesterday afternoon to pick me up to go to said party. I was waiting for you to text me the date, I accused Danny. No, he countered, I told you the party would be on March 7. Danny and I continued our good humoured argument even after we arrived at the venue. Somewhere between us was the truth; and we were still arguing about it in good humour even after we had arrived at Lito’s place. Have you watched ‘Still Alice?’ Julianne Moore won an Oscar for her performance. Wink. Do not anyone tell Danny, but he might have – indeed – told me the date of the party. But given my lifestyle since I retired from work, let us just say that I watch the calendar only for my bills’ payments. Otherwise, every day is as good as the other. Because Danny and Vergel were prepared to do an Oakwood unless I came along, I took a hasty shower, got dressed and got into Danny’s car with Vergel. I am not at all the spontaneous type; and indeed, I am the sort who plans even a routine sortie into the supermarket. But last night, well, I was prepared to enjoy myself. I was meeting up with high school classmates, after all. The bonds one forms with classmates in high school will always be stronger than any one forms in college; mainly because of the sheer number of hours spent together and that these were spent during one’s carefree years. Moreover, these bonds transcend the passing of the years. 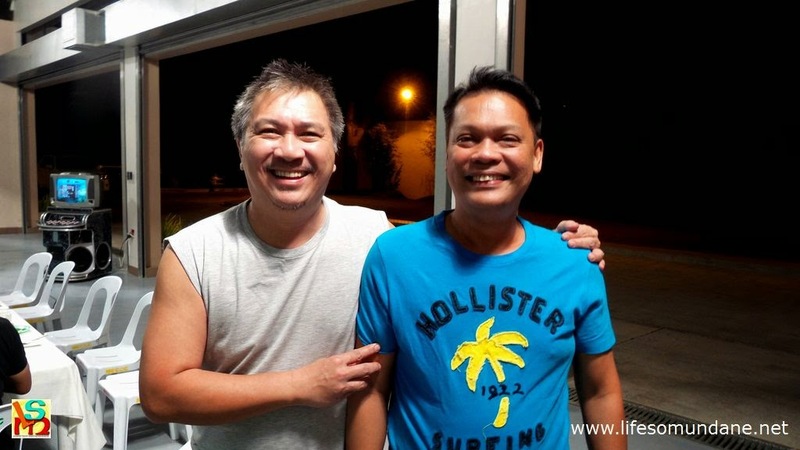 I had not seen Nilo Bulanhagui since we graduated from high school in 1975. For instance, I had not seen Nilo Bulanhagui since, well, graduation. He himself confirmed this. In fact, in the years since graduation in 1975, I had more contact with his younger siblings, a few of whom were in my History classes. Meeting Nilo after forty years, there was no awkwardness at all. You just naturally slip back into being, well, classmates. Of course, Nilo was also my classmate in elementary, as were Danny, Tats and Dennis Atienza of the group who attended last night’s party. 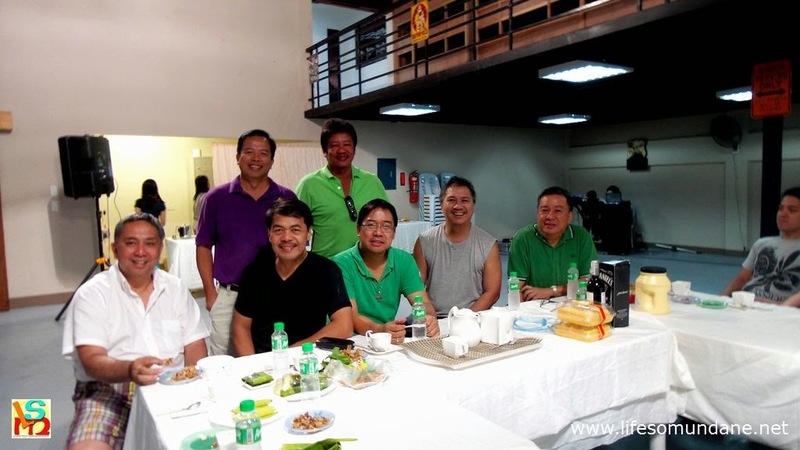 The rest became class- and batch-mates in high school: Vergel, Lito, Ruben Kasala, Jojo Silva and Walter Alvarez. 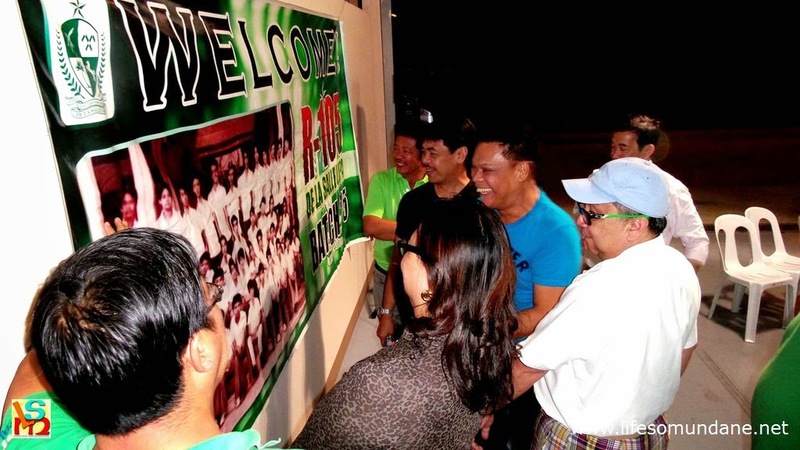 Lito Hernandez (foreground in light green) hosted the reunion party. Posing in front of our yearbook class picture. I actually met Walter about a decade ago while I was still working at DLSL. I went out for lunch with a colleague and ended up at this now-defunct restaurant called Bug-ong just past the gate of Catalina Village. Walter had no recollection of that meeting last night; but he was the one who actually approached me at the restaurant. I never would have recognised him had I passed him along the corridors of a mall. What I remembered of him from high school were his curly locks; and yet there he was bald as a goose egg. Walter apart, those who attended last night still had our manes with us. Not quite the lions’ manes we all wore as was the fashion in the seventies; but the good Lord has blessed most of us with covered foreheads. Having fun trying to identify classmates in the yearbook class picture. Not to say that hair was not entirely unproblematical. Indeed, at our age, a full head of black hair attracts suspicion. Now Tats, of all people, had one. I felt it almost obligatory to accuse him of dying his hair; something he vehemently denied. Well I do not, I retorted. He is a classmate, after all. He might be a priest, I said to Lito; but among ourselves, he did not have to be truthful. Laughter. The sort one enjoys as a matter of course in high school with one’s mates; and the sort that comes spontaneously and for no reason at all. Forty years on, the laughter was still spontaneous.